The following items are available for sale at Georgia Nature Center. The carnivorous plants and solar toys below, ranging in price from $3 to $25 each including tax, are available at the Nature Center Store. Please bring cash to purchase any of these after a tour. Call 1-800-800-2099 before visiting if you'd like to purchase carnivorous plants or solar toys without taking a tour. This carnivorous plant traps and digests insects within its quickly closing leaves. � Water: Set the pot in 1/2 to 1 inch of water at all times. Well water or distilled water works best. Never let the soil dry out completely or this plant will die. � Sun: Grows best in full sun all day, or in direct sun for at least 4 hours per day. � Temperature: Prefers to grow outside, or can be grown in a sunny window inside. Never place directly in the ground outside unless planted within a bog garden. It can withstand freezing temperatures if kept outdoors during winter. During winter, place it in a cool room if kept inside. � Soil: Use only peat moss or 1/2 peat moss + 1/2 sand. Do not use regular potting soil. � Humidity: Requires high humidity. If grown indoors, it does best in a terrarium or open fish bowl. � Fertilizer: Never fertilize this plant. You can feed it bugs, but don't feed it meat or other items. 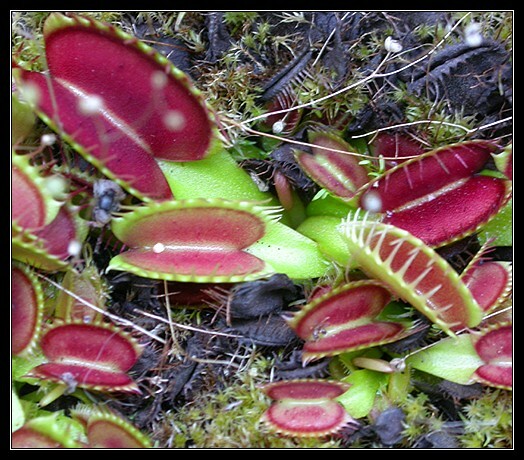 � Notes: The Venus Flytrap grows more slowly during winter, the traps are much smaller, and it may even appear dead. Keep it cool and moist, but not too wet. It will start growing again the following Spring. You can sometimes close a trap for fun, it will reopen the next day. Don't do this too often, though, or the traps may stop working. It is normal for old traps to turn black, new ones will grow to replace them. This carnivorous plant traps and digests insects within its tube-like leaves which grow up to 3-feet tall! � Water: Set the pot in 1 to 2 inches of water at all times. Well water or distilled water works best. Never let the soil dry out completely or this plant will die. � Humidity: Prefers high humidity, but is more tolerant of low humidity than other carnivorous plants. � Notes: The Pitcher Plant grows more slowly and produces leaves without traps during winter, it may even appear dead. Keep it cool and moist, but not too wet. It will start growing again the following Spring. It is normal for old pitchers to turn brown. You can cut off brown pitchers, new ones will grow to replace them. This carnivorous plant traps and digests insects on its sticky leaves which wrap around insects. � Temperature: Prefers to grow indoors. It does best in a terrarium or open fish bowl. 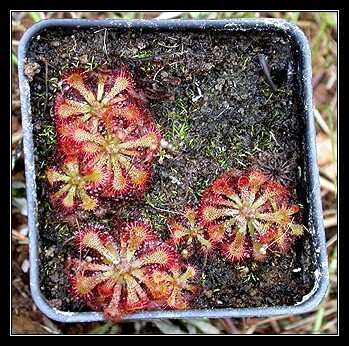 This species of sundew cannot tolerate freezing temperatures and must be brought indoors during cold spells if grown outside. � Humidity: Prefers high humidity. Sundews may not form sticky dew drops if the humidity is too low. � Notes: This sundew will grow all year round if kept in a sunny window. Keep it in a terrarium, or cover the pot with a clear plastic cup if the leaves do not form dew drops. 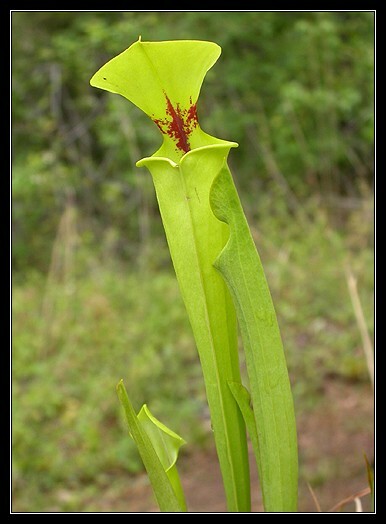 This pitcher plant from the tropics is related to the kind which grows large enough to eat rats and small birds! Save 40%! Get one each of all four different carnivorous plants we offer for just $20. 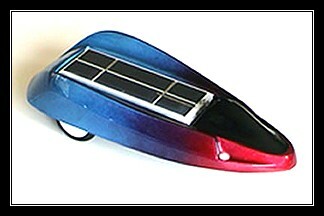 Build your own Solar Racer and tap into the power of the sun! This easy-to-assemble kit comes with everything you need. This solar-powered "frightened" grasshopper jumps around when placed in the sun!